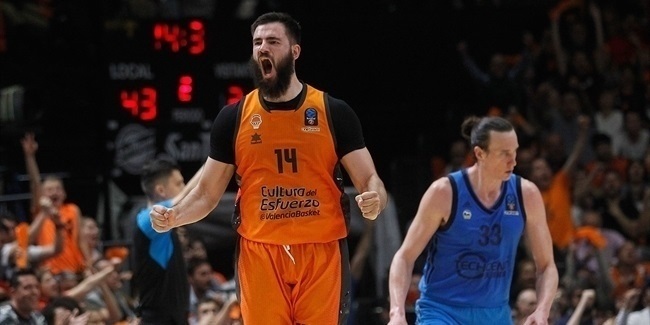 ...Rafa Martinez has become the first player to win three EuroCup titles? Martinez won the competition with Valencia in 2010 and 2014. Rimas Kurtinaitis (Lietuvos Rytas 2009; Khimki 2012, 2015) previously won three titles as a coach. ...Sam Van Rossom and Bojan Dubljevic are now two-time EuroCup champions? 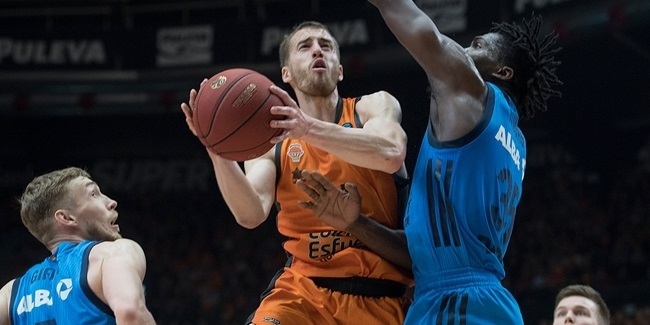 Van Rossom and Dubljevic led Valencia to EuroCup titles in 2014 and 2019. ...Aaron Doornekamp has just become the first Canadian to win the EuroCup? ...eight current Valencia players – Dubljevic, Martinez, Van Rossom, Will Thomas, Antoine Diot, Guillem Vives, Fernando San Emeterio and Joan Sastre as well as head coach Jaume Ponsarnau (then an assistant coach) – were with Valencia in its last EuroCup Finals appearance in 2017? 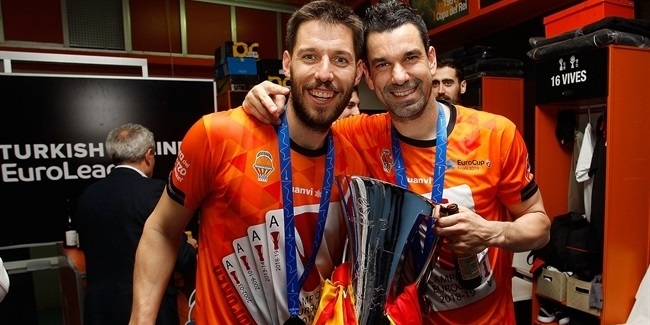 Two years after that disappointment, they have won the EuroCup title together! ...San Emeterio won his first EuroCup title in his third appearance in the finals? San Emeterio lost his first two finals – with Akasvayu Girona in 2008 and Valencia in 2017 – and finally lifted the trophy this year. ...Joan Sastre won his first EuroCup title in his third appearance in the finals? Sastre lost his first two finals – with Cajasol Sevilla in 2011 and Valencia in 2017 – and finally lifted the trophy tonight! ...Valencia finished the season with the best assist-to-turnover ratio in competition history (1.79 assists per turnover)? Rytas Vilnius held the previous record with 1.74 assists per turnover in the 2013-14 season.